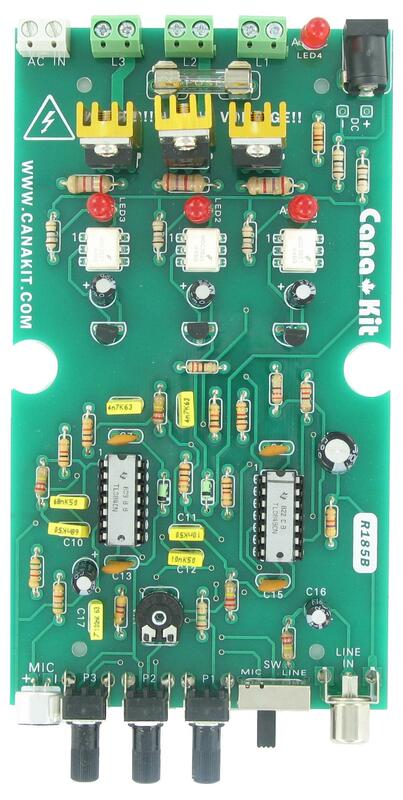 3 Channel Color Organ – Assembled – CANUK185. This is an excellent item for parties, dances, etc. 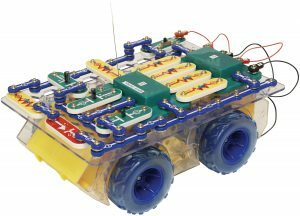 The circuit is based on an Integrated Circuit which provides three sharp active filters for each channel. Three independent controls vary the amount of light for low, midrange and high frequencies. 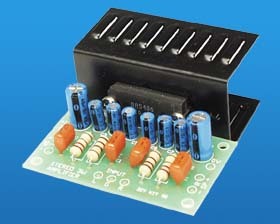 This fully assembled 3 Channel Color Organ circuit is an excellent item for parties, dances, etc. 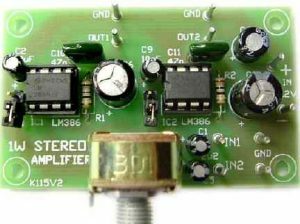 The circuit is based on an Integrated Circuit which provides three sharp active filters for each channel. Three independent controls vary the amount of light for low, midrange and high frequencies. UK185. 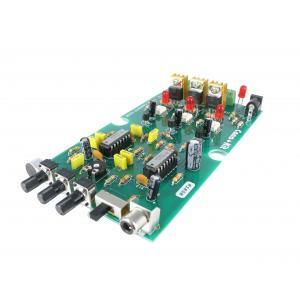 In addition, a built-in microphone is incorporated which allows the circuit to capture the ambient sound and to operate without requiring a connection to your stereo system. The circuit can handle up to 200W of lights per channel at 110V AC (or 400W at 220V AC). 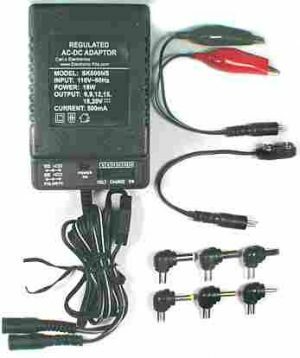 (Need a Power Supply?) (when using this power supply negative is connected to point marked G, and positive to A1 or A2. 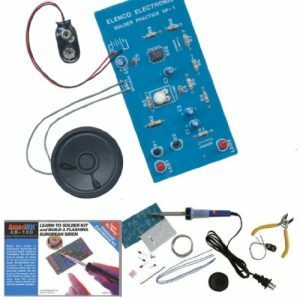 Fully assembled electronic circuit – No soldering required.